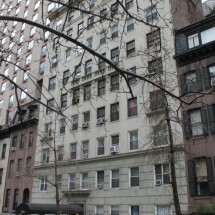 Highly desirable prewar building in the center of Murray Hill and serviced by a full-time doorman and a live-in super. 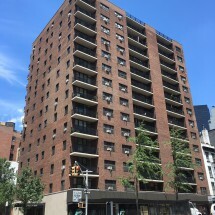 Built in 1936, 137 East 38th Street is a mid-twentieth century high-rise building of 13 floors and 108 apartment units in the Murray Hill neighborhood of Manhattan. Apartment layouts consist of: Studios, 1-Bedrooms and 2-Bedrooms. Staffed by a full-time Doorman/Concierge and live-in Superintendent, the building has 2 elevators. Laundry facilities and a fitness center are on-site. 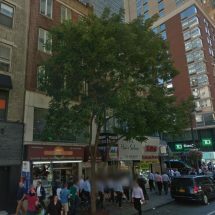 Among Manhattan neighborhoods, Murray Hill appeals often to young professionals looking to be in the center of the City. Murray Hill is in close proximity to places as diverse as Grand Central Station, Macy's, Pershing Square and the Morgan Library and Museum. As home to over 18 diplomatic missions, Murray Hill offers a superb international array of cuisines. Murray Hill's numerous food options and preparations, from the local Shake Shack to Cipriani La Specialita, appeal to varied tastes. Nearby fitness opportunities include those at Equinox Fitness Park Avenue and Crunch Fitness. 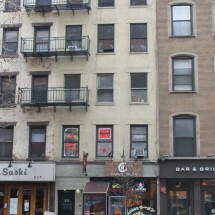 Typically considered a historical residential district, Murray Hill has expanded its nightlife opportunities in recent years. 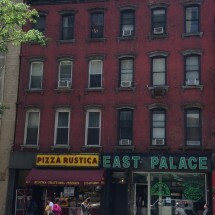 Subway options are readily accessible, thanks in great part to the location of Grand Central only a few blocks from 137 East 38th Street. 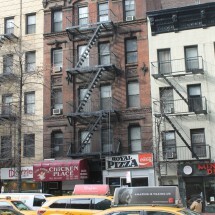 In addition, the West Side subway lines of B, D, F. Q and 7 are also within minutes of this building. Even the 34th Street Ferry Landing is just less than a half-mile from 137 East 38th Street.